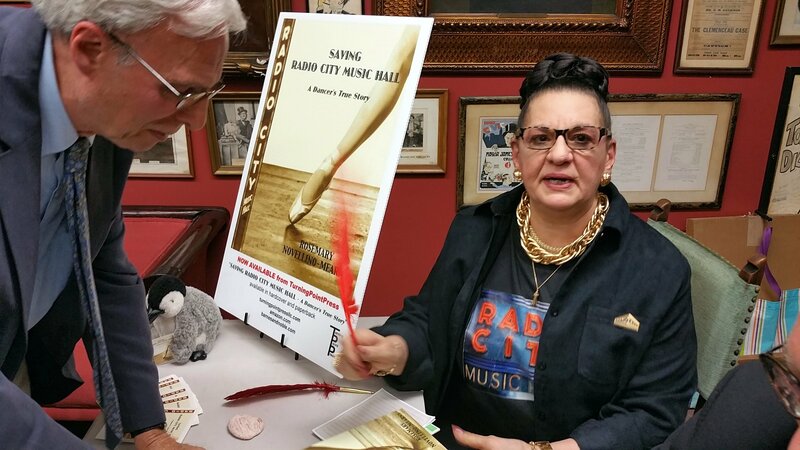 On Monday, June 27th, The Lambs hosted a book talk by author Rosemary Novellino-Mearns about her amazing work that went into the saving of Radio City Music Hall after its Easter Show, in April, 1978. The art deco masterpiece was scheduled to shut down and be demolished. 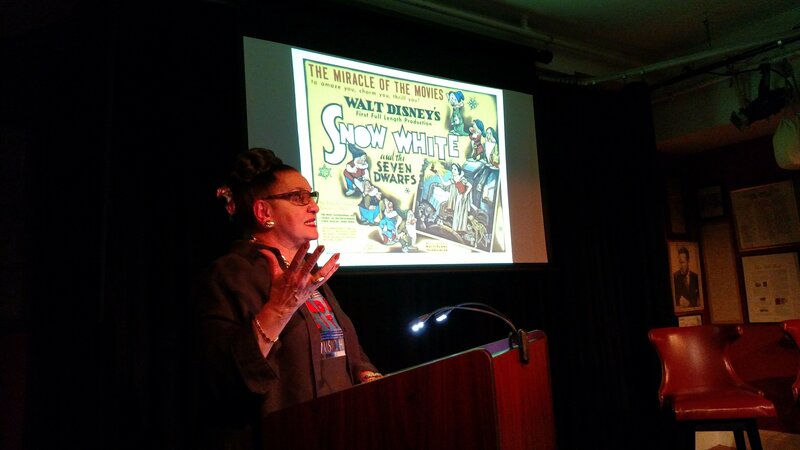 Rosie’s work, along with the many other performers and staff, launched a powerful campaign that led to the saving of the Hall. 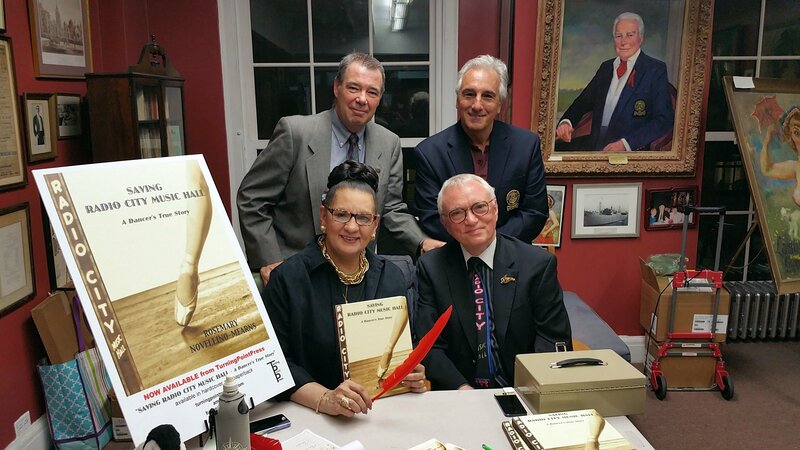 Nearly forty years later, Rosie (as most call her), who was dance captain of the RCMH ballet company in the 1970’s, shared the amazing story of how she motivated a small group of dedicated colleagues, friends, media and political allies to join forces, challenge the Rockefeller establishment and, against all odds, saved “the Showplace of the Nation.” Read what BroadwayWorld.com wrote. 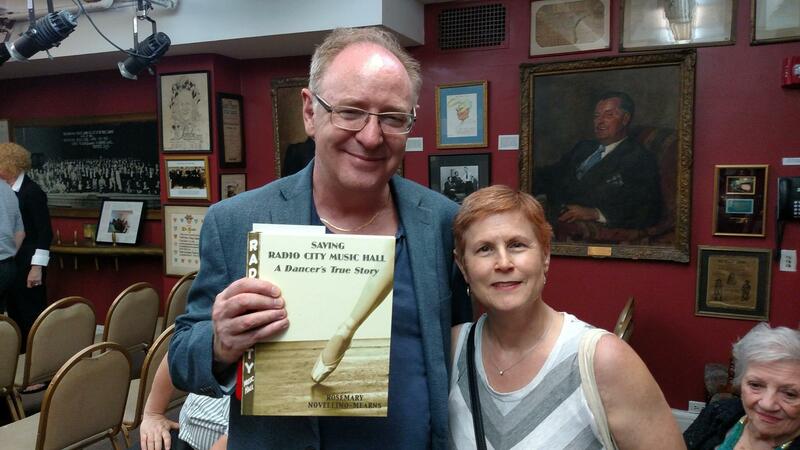 Two videos worth watching are: One on One (CUNY) and Ladies of the 1960’s and 1970’s Corps de Ballet. 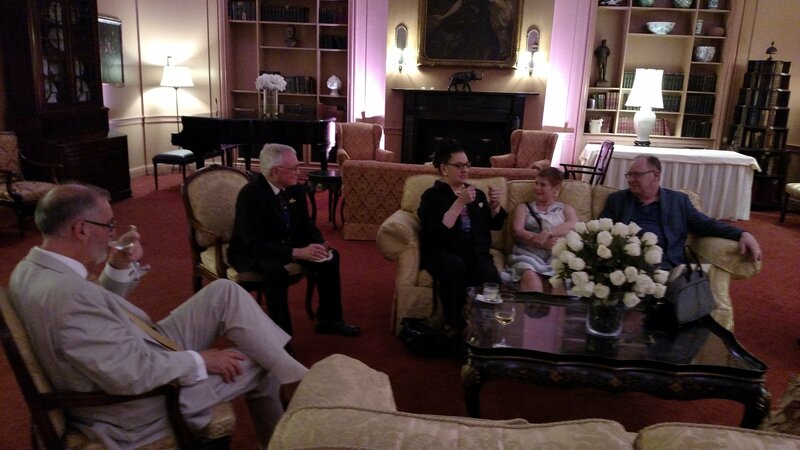 Standing: Lamb Lee Pfeiffer and Shepherd Marc Baron with Rosie and Bill. Her presentation was lively, funny and engaging. 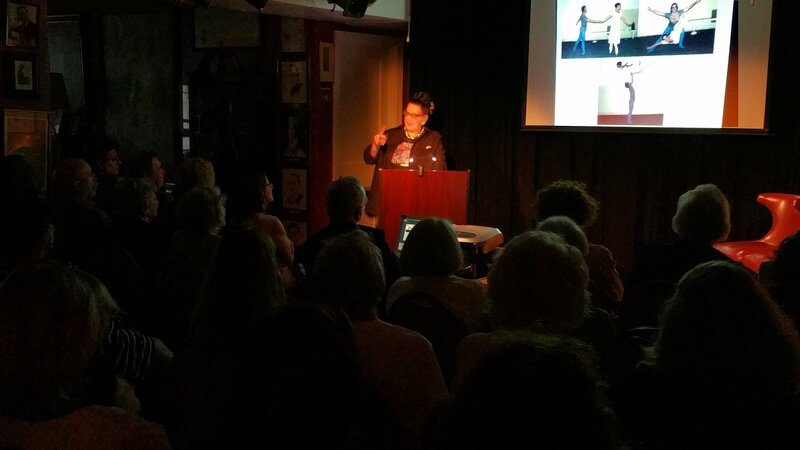 Rosie shared rare photos and videos with the capacity captivated crowd. 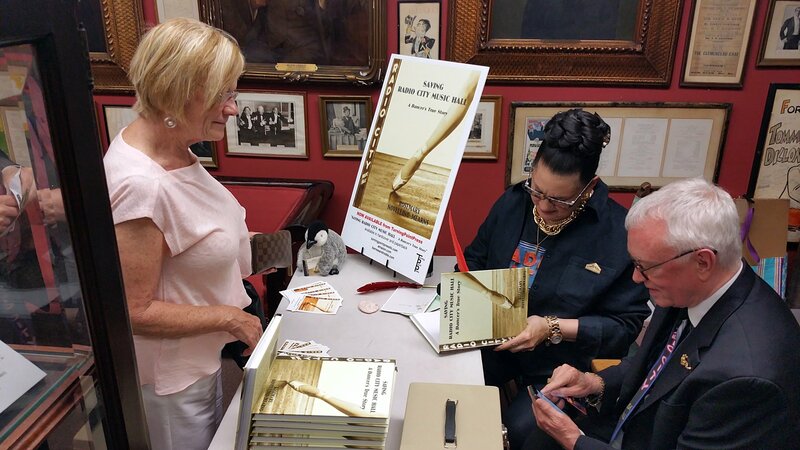 Her book is filled with tales about what really led to the effort to close the RCMH, and to save it. Humble Rosie refuses to accept that she was a hero and that her efforts saved one on New York’s iconic attractions (and a neighbor of The Lambs). 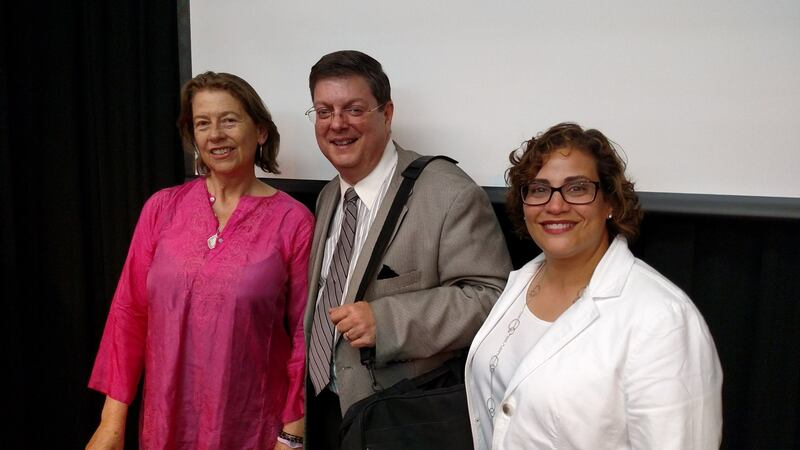 Her husband, Bill Mearns – a singer she met at RCMH – ran her Powerpoint presentation perfectly. 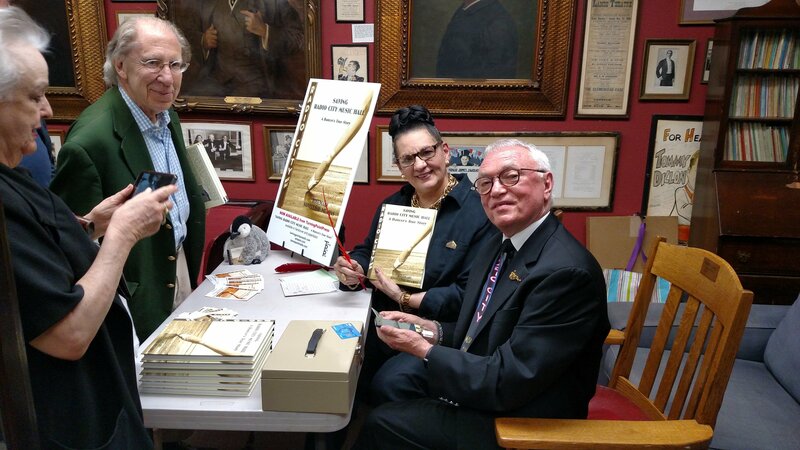 Following her presentation Lambs Lee Pfeiffer and Doug Gerbino shared other facts about RCMH and conducted a brief Q&A with the author. 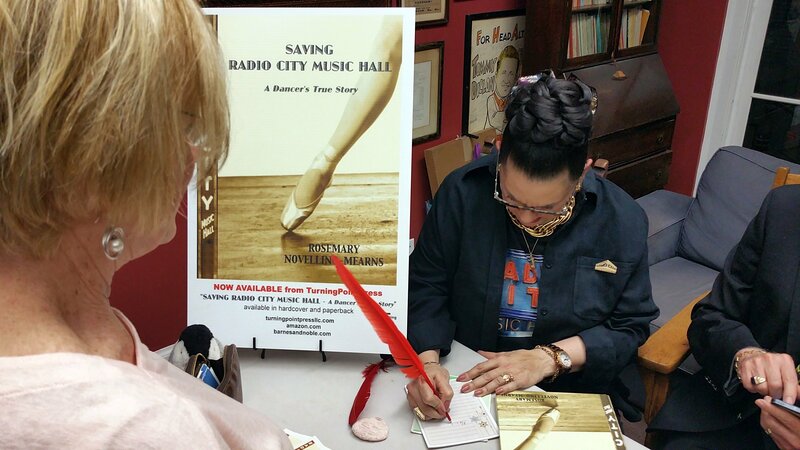 Attendees lined up to purchase signed copies of her book, “Saving Radio City Music Hall, A Dancer’s True Story” and to pose with Rosie for photos. 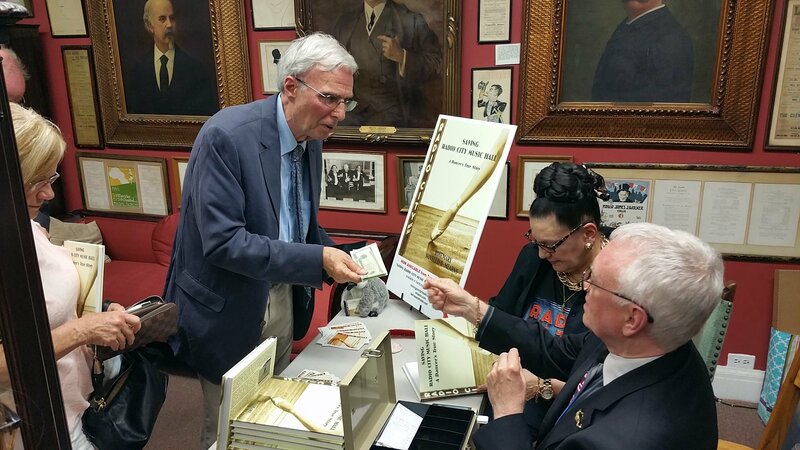 Readers may find the book for purchase online at Amazon, Barnes and Noble and Turningpoint Press. 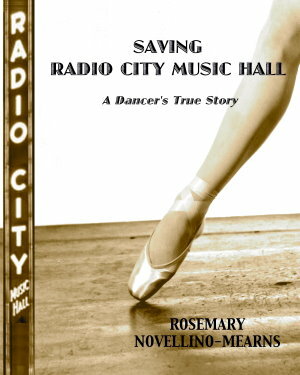 If you’re lover on New York City, theater, Art Deco … and have ever attended events at Radio City Music Hall, this book is for you! 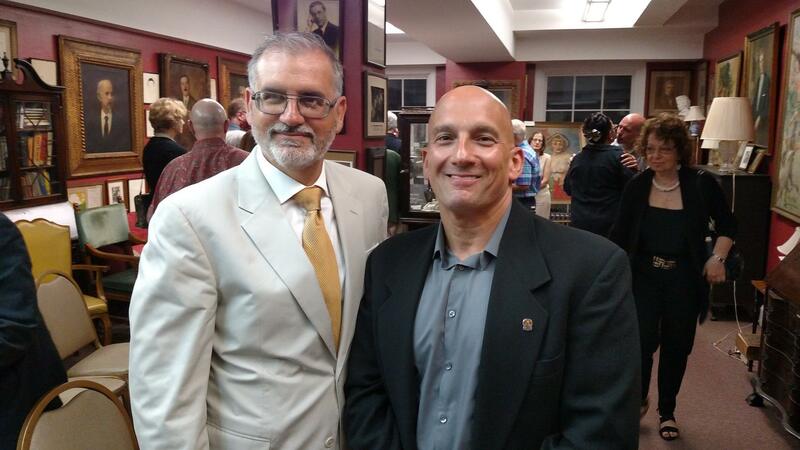 The event not only provided an entertaining and informing presentation, but raise much needed funds for The Lambs Foundation. After the event many gathered in the pub to eat, talk and, of course drink, while others were given tour of our clubhouse. 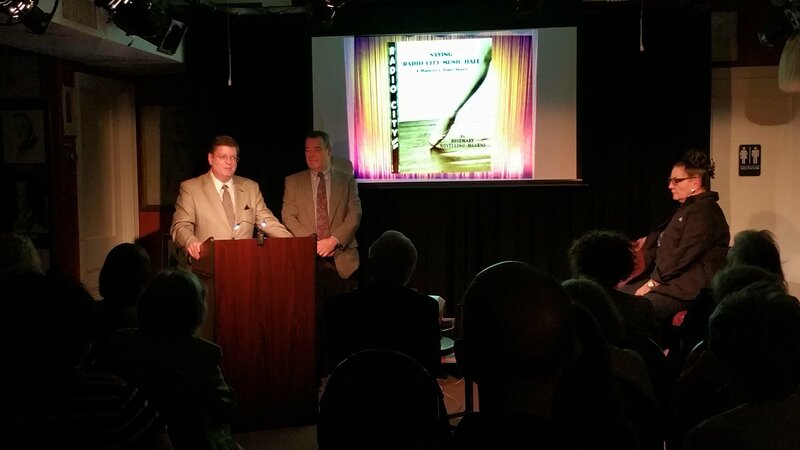 Wednesday, June 8th, The Lambs presented a reading of the comic play Good Luck, Mr. Gorsky, written and directed by Lamb Dave Konig. Dave is an Emmy-winning comedian/actor…and a promising writer. The cast featured Brad Bellamy, Luca Ferrari, Richard Mover, Spenser Scott, Brendan Ryan and Dave Konig. Crime. Addiction. Poverty. Gambling. Violence. Teenage runaways. Stupidity. It’s a comedy!….And it raised funds for The Lambs Foundation! The photo collage by Lamb Jim Manley. Please note, the 3 West management is closing the 2m Pub on Fridays (all day) starting July 1 during the summer. 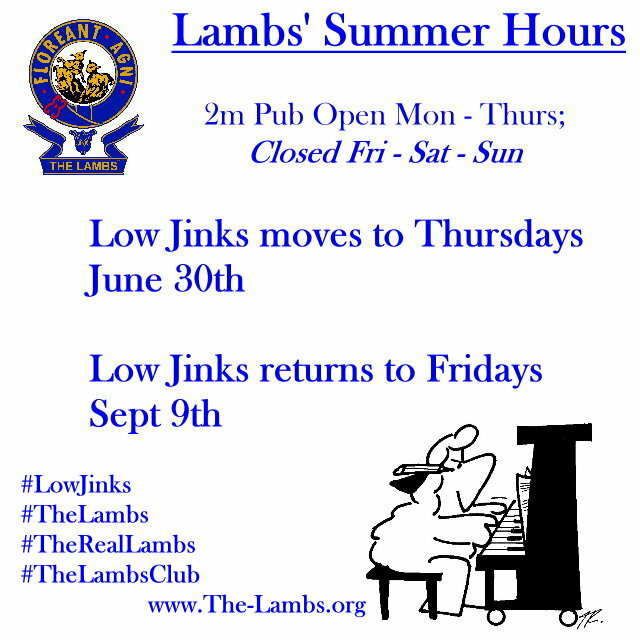 Low Jinks switch to Thursdays starting June 30th.